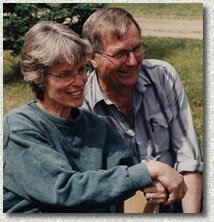 Don and Nancy Lidster started raising pigs in 1981. They were frustrated trying to move hogs the way “the experts” said they should do it. Nancy attended her first Bud Williams Stockmanship School in 1996. Back home she took videos of people moving pigs and brought them to us so that she and Bud could review them together. Nancy has been to several more schools over the years and has proven to be an excellent student. When they applied Bud’s methods, they said it was hard to believe that moving hogs could be that easy. 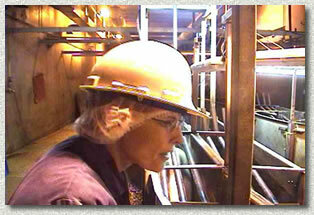 Nancy now produces training videos for pig handlers from farms to packing plants. She also offers one-day pig handling schools and other presentations on request. 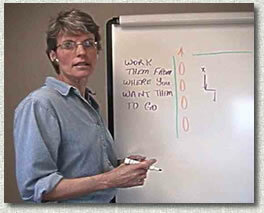 Having seen how effective video was for teaching pig handling skills, Don Lidster has produced numerous on farm videos demonstrating procedures from “Assisting Farrowing” to “Recognizing Sick Finisher Pigs” to “Trouble Shooting Environmental Control Panels.” He captures top performers at work and offers their techniques and attitudes as models for others to follow. He also produces customized training videos. Sixteen of the farrowing skills have been translated into Spanish. Bud & I are very impressed with the training materials they have shown to us. We’re happy to be able to give them a hand and feature their products on our web site.